Go big or go home baby! 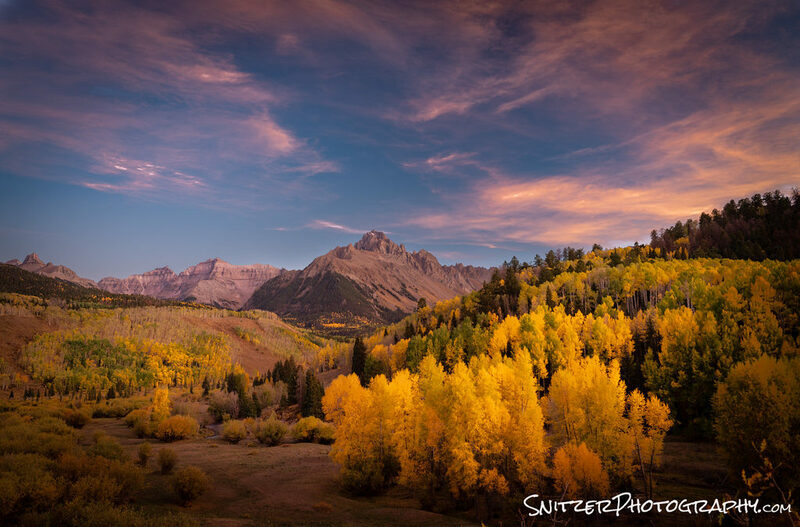 You want fall in the Rockies? How about Yellowstone, Teton Nat Park, San Juan Nat Forest, Arches, Canyonlands, Zerkels, Escalante/Grand Staircase! Did I forget to mention the Badlands? Four weeks, 6100 miles… What a trip! I know. I need to quit chasing rainbows (Castle Valley outside of Moab Utah). Ok, now that I’ve got your attention, let look at the map. Where are all these places? My photo expedition started in the Dakota Badlands on route to Yellowstone. This otherworldly moonscape is a great intermediate stop when heading out West (from Chicago) and can be combined with trips to nearby Mount Rushmore, Custer State & Theodore Roosevelt Nat. Parks. Here I am surveying the lunar surface (I feel like Buzz Lightyear). Want to see more photos. Click here to see the whole gallery. Yellowstone is comparatively crowd free this time of year (kids back at school). It combines waterfalls, rivers, wildlife & geothermal wonders. Awesome variety sports fans! That’s me checking out the water before I dive in. Took the photo with a remote shutter release. I know…I have the “gift”. Approx 90 minutes South, lies the Tetons which rise majestically over a colorful floor lit by changing Aspens and Cottonwood trees. Pictured below is Oxbow Bend, an iconic view in the area. Driving 7 hours South, we hit the small town of Ouray, nestled in the San Juan Mountains. To my mind, this offers the best op in the Rockies to behold kickass fall color. Also, a great place to have a T-Bone steak. Must keep moving. Just North of Moab Utah lies the Castle Valley (another gem in the area, along with Arches & Canyonlands Nat park). I happened to be exploring the area as a morning storm unloaded it’s fury. Ok, folks, it’s time to check out the full gallery. You haven’t seen anything yet. It gets better! I leave you with this pic of a little known secret spot somewhere in the Rockies (don’t try to pry the location out of me)! I’m sworn to secrecy. Click link! Click for more photos!! !